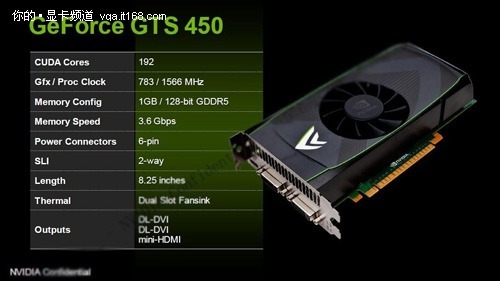 News and benchmarks of the day ... new benchmarks screenshots hit the web at beyond3d forum and many more websites comparing the new Nvidia Geforce GTS 450 and GTS 250 , GTX 460 and the HD 5750 from ATI, where the vGeforce GTS 450 put it self between the current graphic cards from both Nvidia and AMD . So lets take a look here at the specifications of each card first. 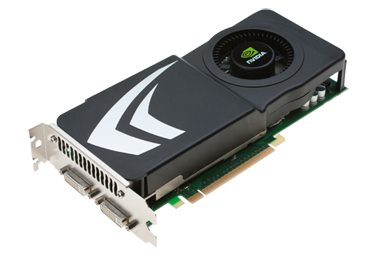 The GTS 450 use the GF104 with a temps 57c at 70% fan , and 72c at default fan, Can be Oc'ed to 1.0GHz core easily so that will increase the Vantages GPU score by 2000 Points. The GTS 450 is slightly faster than HD 5750 (8~10%) , And Even with 1 GPC it still can beats the HD 5750 at heaven by 29% @ 1900x1200.